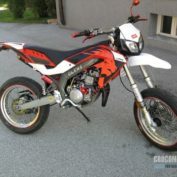 Model Husqvarna SMS630 is a type of motorcycle Super motard, produced by Husqvarna. 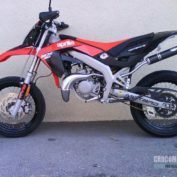 This 2011 model. 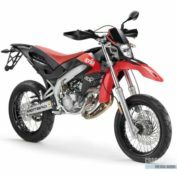 Engine size 600.10 ccm (36.62 cubic inches), engine type Single cylinder, four-stroke, – valves per cylinder, – gearbox, and transmission the type Chain. Fuel system – Injection. Mikuni Digital Fuel Injection. 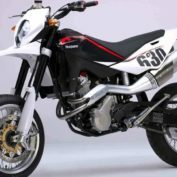 In the motorcycle Husqvarna SMS630 2011 uses a cooling system of the type Liquid. 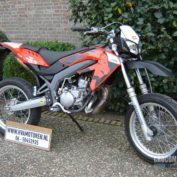 Full speed Husqvarna SMS630 – -. Front brake – Single disc, 320 mm (12.6 inches); rear brake – Single disc, 220 mm (8.7 inches). Stock tire sizes are – on the front, and – on the rear. 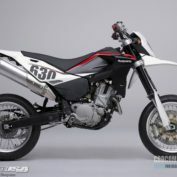 More technical specifications for Husqvarna SMS630 2011, see below. 45mm Marzocchi USD with rebound damping adj.